By now, most of you have navigated final exams and are wrapping up another successful academic year. Before you dive into your summer activities, I want to take this opportunity to share with you the importance of living in the moment rather than trying to capture it. It is something we have all been guilty of at one time or another. Whether it’s at a concert, counting down to the New Year or spotting something interesting on campus, our natural instinct is to retrieve our phones to capture the moment with a photo or video. 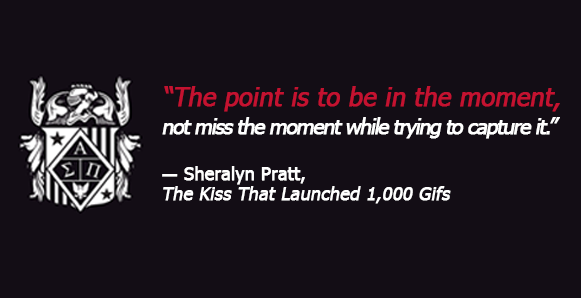 What we may not realize, is how much we’re missing while trying to document the moment. Consider this —how often do you look back and watch those shaky, low-quality videos you recorded during a concert or event? And how much time and effort did you exhaust trying to keep steady while watching the live act on your screen to make sure it was centered? While it is great to capture a memory digitally, resist the urge to document your life, and instead be present in the now. Watching the replay on your phone will never match the feeling of experiencing something for the first time in person. This month, I would like to encourage each and every one of you to experience the present. Take in the sights, embrace the scents, relish the company you’re in and appreciate the moment. You’ll be surprised how powerful a single instance can be when you’re not concentrating on capturing it. Alumni Recognition Keepsake with Personalization Option*: Place this on your home or office desk to commemorate your present achievements while reminding you to continue setting SMART goals while on your path to future success. 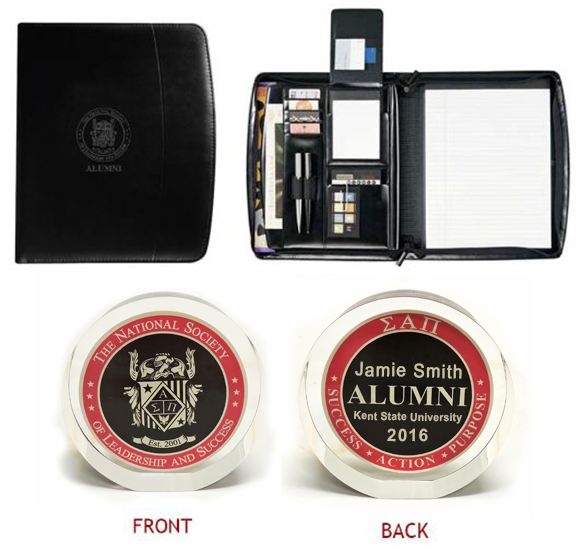 The Society Alumni Seal is encased in a 3” x 7/8” clear lucite round with a flat bottom. *Engrave your keepsake with your name, chapter and graduation year! 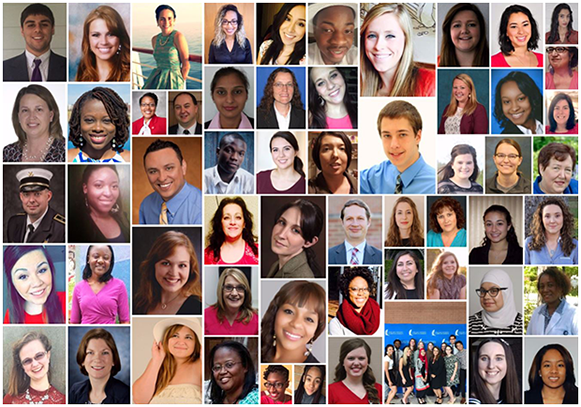 We are proud to present the recipients of the Spring 2016 Scholarships and Awards! Our Student Presidents play a pivotal role at each chapter. With countless hours of dedication and commitment to helping others discover and achieve their dreams, they persevere to manage their academic, personal, and professional priorities with success. He or she is dependable, self-motivating, and serves as a positive role model among their peers. Each year, the Society recognizes one chapter for the impact it has had upon both its members and the community. This prestigious award is received by the chapter that continuously demonstrates excellent leadership to its members, campus, and community. The Society Chapter Advisors are vital in the development and strength of the Society's mission. 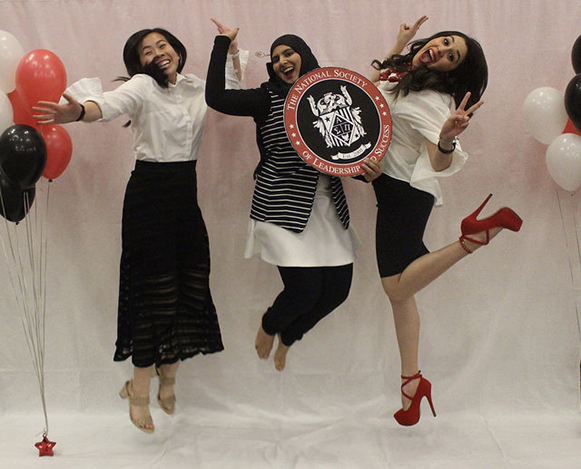 Not only are they mentors and leaders to the executive board and local chapter members, but are also a liaison between the campus administration and the Society. 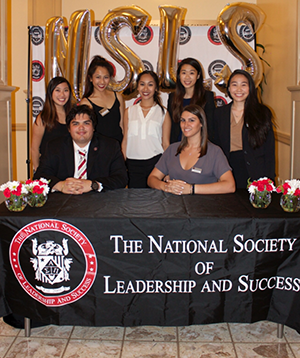 The Society Executive Board Members serve as the eyes and ears of the chapter. 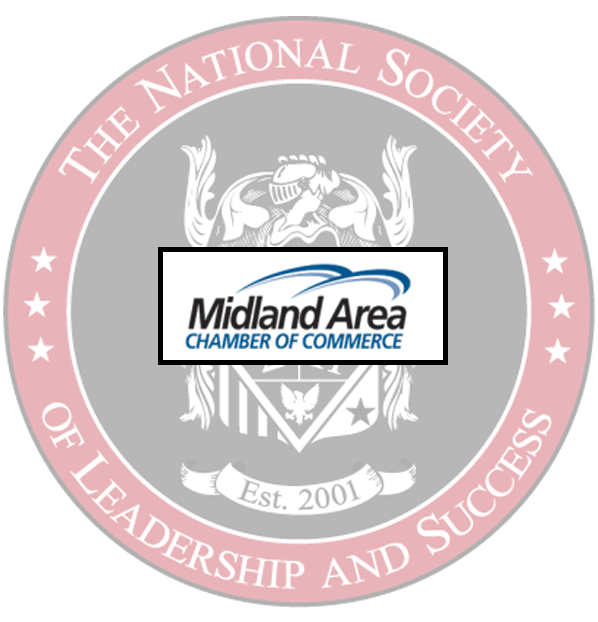 They ensure that the members, events, funds, and general health are supported, updated, and at their best. The Executive Board members that receive this award have made a lasting positive impact on their chapter, as well as on the individual that nominated them. 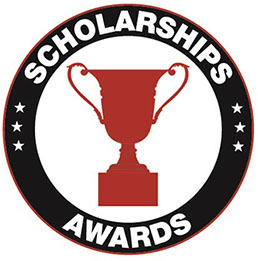 We thank all of you who have applied for the Spring 2016 Scholarships and Awards. The Society receives a very high volume of applications each semester, and it is with regret that we cannot award them all. We strongly encourage you to apply for the Fall 2016 semester (submission period begins in September) and continue in your dedication to being leaders who make a better world. Redeem your 50% OFF discount today! Whether you are a veteran yogi or want to try yoga for the first time, this is a great benefit to take advantage of to find your healthy mind, body and spirit. MyYogaWorks is a carefully curated online yoga experience with over 900 online yoga classes that you can stream from your laptop, tablet, phone or TV. 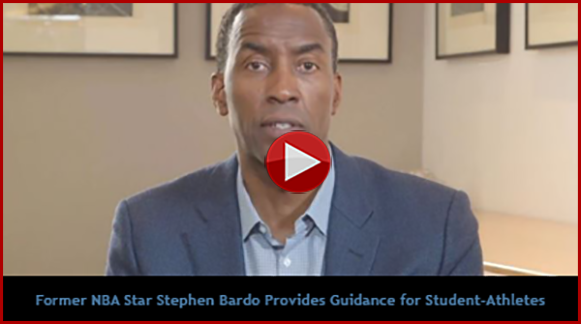 Stephen Bardo, former University of Illinois standout, NBA star, and now a Leadership Ambassador for the Society, took some time out of his busy schedule to talk to Stack Magazine and provide insight into the current state of the student-athlete, and how sports impact athletes after their playing careers have ended. To continue reading and to watch the video of Bardo's full interview, click here. The “Jefferson Community College (JCC) Foundation” was honored to accept a donation from the JCC Sigma Alpha Pi chapter of The National Society of Leadership and Success. A $1,200 donation was presented to the Foundation to establish The National Society of Leadership and Success Grant to be awarded to future Society members to assist with the cost of NSLS membership, professional development opportunities and other leadership-oriented memberships. On Thursday, April 7th, Society member Mallory Rivard was one of two students from Saginaw Valley State University honored for her community-minded actions during the Michigan Campus Compact Awards Gala in East Lansing. Both students received a “Commitment to Service” award for their extensive community involvement. 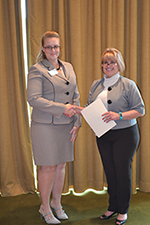 Rachel Royal, President of the chapter at Carteret Community College was awarded the 2016 North Carolina Bar Association Paralegal Division Student Scholarship on Friday, May 6th. Rachel was recognized at the NCBAR Paralegal Division Annual Meeting at the Grandover Resort in Greensboro. On Thursday, May 5th, the Society chapter at the University of Houston held its Spring 2016 Induction Ceremony. A chapter record 67 new members were inducted. 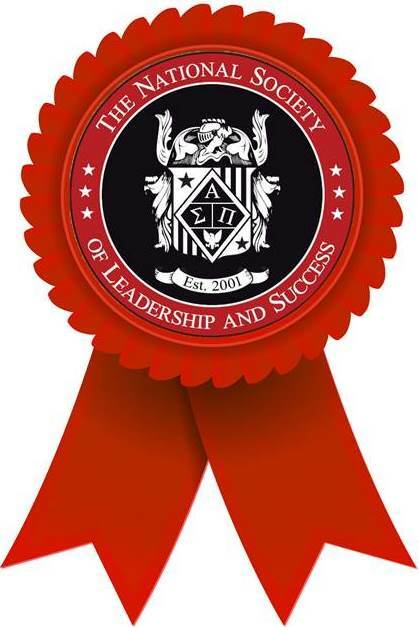 The Society chapter at San Antonio College inducted 75 members and honored 16 NELA recipients on Monday, May 9th, followed by its Spring 2016 Commencement Ceremony on Saturday, May 14th. On Friday, May 6th, the Society chapter at Chapman University inducted 33 new members at its Spring 2016 Induction Ceremony. On Saturday, April 23rd the Society chapter at the University of Central Florida organized an executive board retreat for local outgoing and incoming chapter Presidents. The day focused on team building, goal setting, and establishing action plans for the upcoming year. Attendees included Society members from Florida State University and University of South Florida, plus special guests Claire Sarlo and Cory Galano from the National Office. The Society chapter at Palo Alto College held its Spring 2016 Induction Ceremony on Thursday, May 5th. 116 new inductees were honored, along with 35 NELA recipients.